Good usability cultivates confidence & trust in your website! When creating a website it is not just visual design that you need to think about. Whilst visual design is an important element, usability and the efficiency of your website, along with the visual design, determine the success or failure of a web-site. So what is usability? 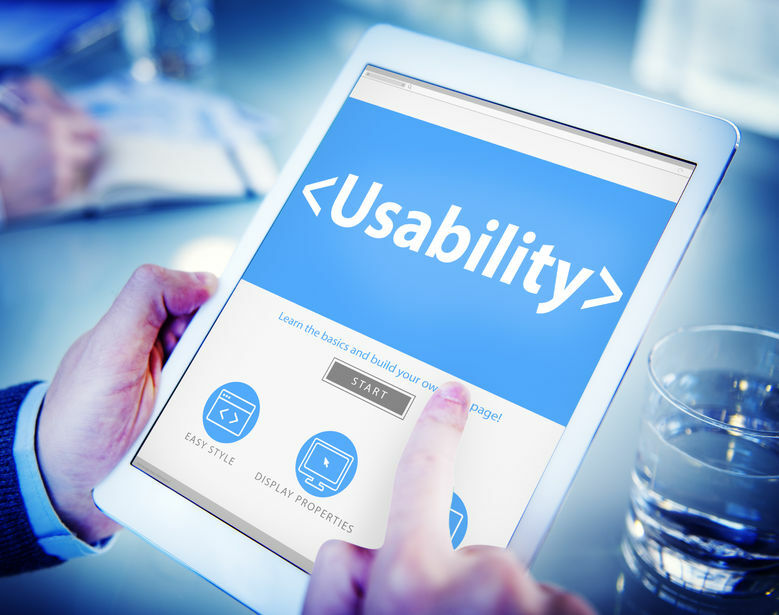 Usability is the measure of the quality of a user's experience when interacting with a product or system - whether it be a website, software application, mobile technology, or any user-operated device. On the Web, usability is a necessary condition for survival. If a web site is difficult to use, people leave. If the homepage fails to clearly state what a company offers and what users can do on the site, people leave. If users get lost on a web site, they will leave. If a web site's information is hard to read or doesn't answer users' key questions, they leave. Usability is an essential component in good web design, it is the visitor that clicks the mouse button and decides everything. For your website to be successful you need to think about how visitors interact with websites and their behaviour patterns in the functionality of your web design. •	The first thing to ask yourself is: "Is my website useable? Is it quick and easy to use? Efficient? Does it allow for rapid recovery from errors and is it easy to remember? •	Usability increases benefits for both parties, both the user/potential customer and yourself/the provider. •	Good usability cultivates confidence and trust in the product or web site. Potential customers will achieve their goals effectively and efficiently and enjoy interacting with your web site or product. •	If your users are satisfied, they will become loyal, and may even recommend your product or service to others. •	As a provider, you may benefit from usability in many ways, including, reduced development time and costs; reduced support costs and user errors; and return on investment. Indeed usability is a significant component to your business website. When good usability is combined with effective visual web design, it results in a web site that can positively affect user behaviour. User friendly design, and an easy-to-use interface will increase user satisfaction. Research also shows the importance usability has in relation to competition between similar companies. E-commerce sites need to have a competitive edge and poor usability will affect the visitors "call to action" or "lead to conversion". Users are always a click away from leaving a web site they are in if they do not find it usable. In the IT world, we are not patient nor or we particularly loyal. Ensuring your website's usability through its simplicity and ease of use are key factors to guaranteeing your website will be a successful addition to your business online. If you are looking at making your website more user friendly - contact the team at Central Coast Web Design to discuss how usability and effective web design can boost your website online.